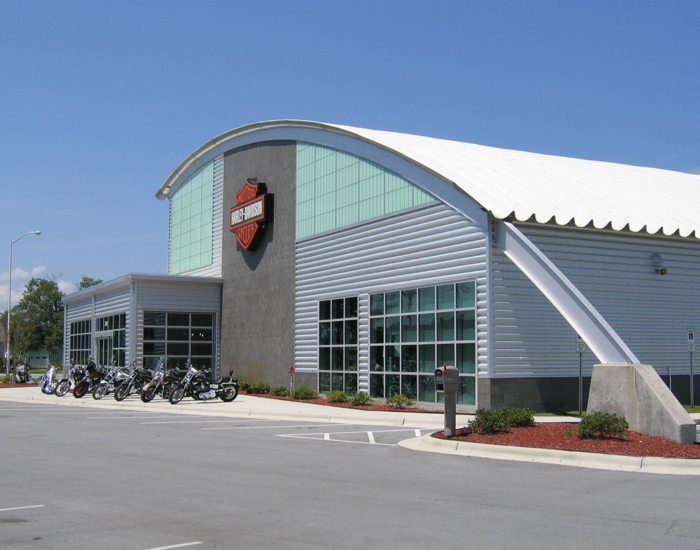 Locating this motorcycle dealership next to one of the largest Marine bases on the east coast gave us the idea to use military building types as our project theme. 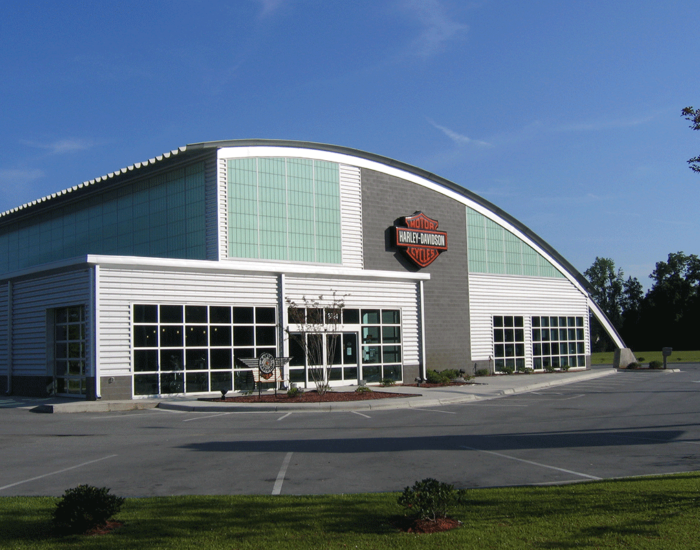 A self-supporting roof panel similar to a Quonset hut along with an exposed steel structure sets the tone for the building. Kalwall translucent wall panels silhouette the steel from the inside as well as provide daylighting for the dealership. 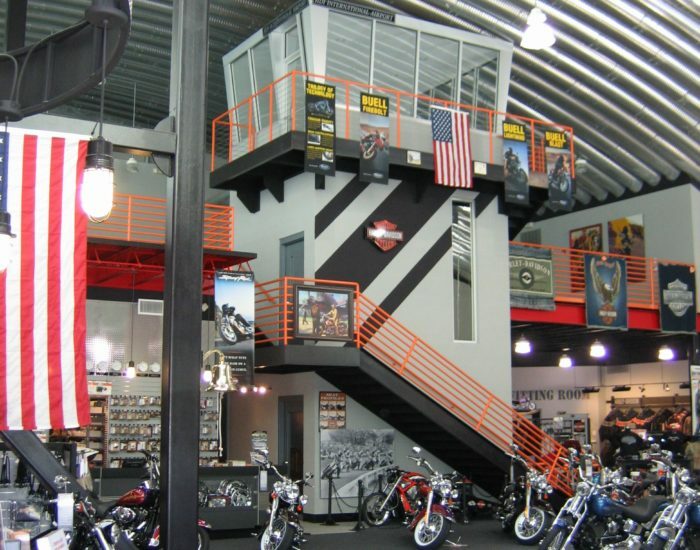 Blue tinted “landing” lights buried in the floor along with a mezzanine “control tower” add to the military theme.